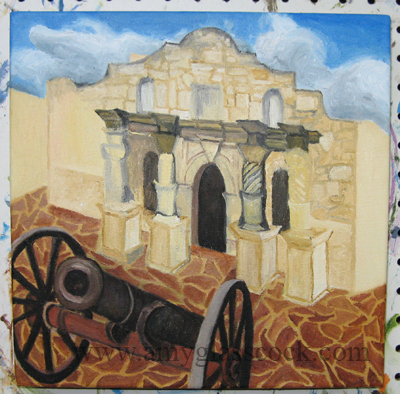 12.29.2010 >>>My first two paintings of 2011 will be having to do with the Alamo. 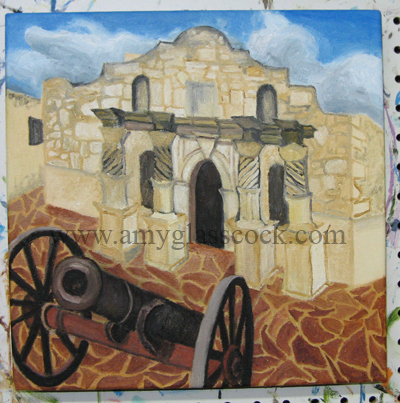 I have been asked to make some work for a show at The Emily Morgan Hotel in San Antonio. It is the official hotel of the Alamo. 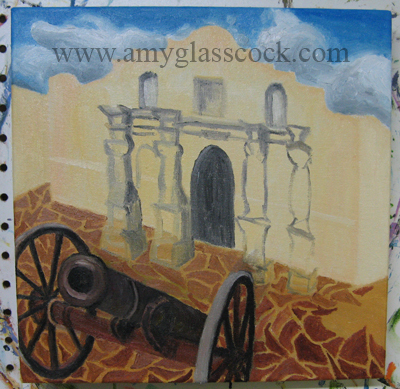 The show will be up for the big celebration for the 175th Anniversary of the Alamo! So exciting! 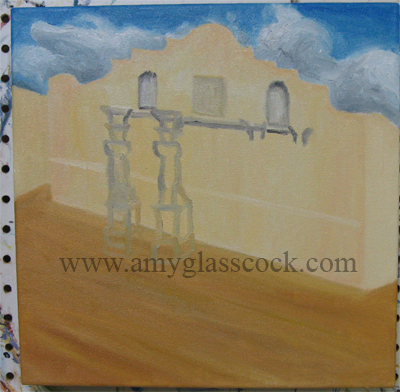 I added some sky and clouds today and started fiddling with the windows and columns. 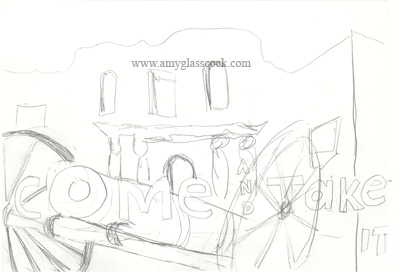 I sketched out the columns more today. I also started adding the cannon. I started working on the stones today. I added some more orange to the bottom of the cannon and also made the wheels a bit darker. 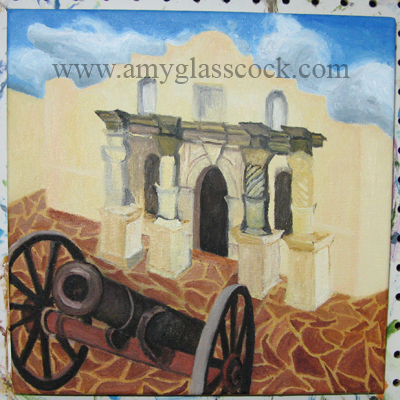 I also finished painting the shapes of the stones and I began the front of the Alamo's details. 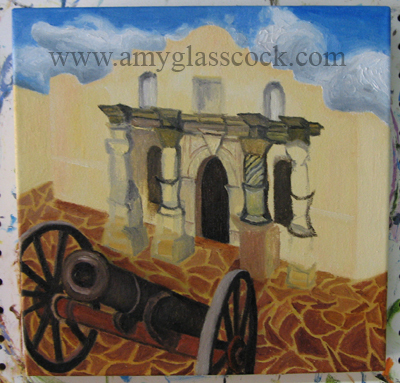 I worked on the columns and the front of the Alamo more today. 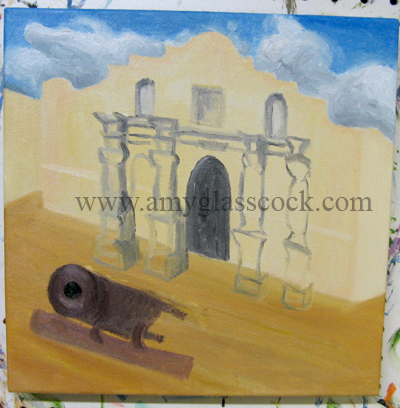 I added some stones to the front of the Alamo today. I added more stones to the front. 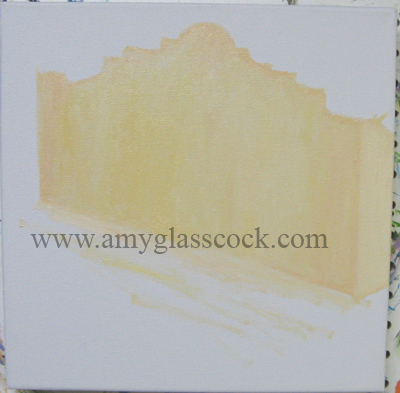 I also added details to the side and the building in the background.